Nepal, a sovereign country, lies between 80 degree 12′ east longitude and 26 degree 22′ and 30 degree 27′ north latitude. It is bounded on the north by the Tibet Autonomous Region of the People’s Republic of China; on the east by Sikkim and West Bengal of the Indian Union on the south by Indian States of Bihar and Uttar Pradesh and on the west by Uttar Pradesh of Indian Union. The length of the Kingdom is 885 kilometers east-west and its breath varies from 145 to 241 kilometers north-south. Climatically, it lies in the temperate zone with the added advantage of altitude. In order to fly directly to Nepal from your home country, Tribhuvan International Airport (TIA) in Kathmandu is the only international airport in Nepal. TIA has direct airlink with Osaka, Shanghai, London, Frankfurt, Hong Kong, Singapore, Bangkok, Delhi, Dubai, Bombay and Calcutta. Lufthansa, Nepal Airlines Corporation (NAC), Air India, Singapore Airlines, Thai are the airlines that carry most of the foreign travelers into Kathmandu and if you buy tickets from any other airlines, you will probably connect with one of these airlines for the final leg of your flight. Alternatively, if you have time and enthusiasm, traveling overland to Nepal via India is an option. British overland travel operators can take you from London to Kathmandu on a six to eighteen week trip. You will travel from continental Europe through Turkey, Iran, Afghanistan, Pakistan and India to Nepal. Nepal entry visa, you can obtain easily upon your arrival at Tribhuwan International Airport in Kathmandu. (Tourist Visa with Multiple Entry for 30 days can be obtained by paying US $ 40 or equivalent foreign currency. Similarly, Tourist Visa with Multiple Entry for 90 days can be obtained by paying US $ 100. Please bring 2 copies of passport size photos. 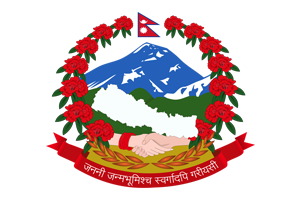 Is your company a recognized company with the Nepal Government? Is it duly registered? Yes indeed our company Mountain Tiger Nepal Pvt. Ltd. is a fully registered company with the Nepal Government. 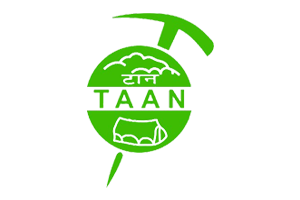 It is also affiliated to various trekking and tour organizations such as Nepal Mountaineering Association, Nepal Tourism Board and Trekking Agencies Association of Nepal. Does the company arrange domestic, international flight, hotel bookings and other services? What types of trekking can I do in Nepal? How many hours do I need to walk? Staying in local inns and lodges are known as tea house trekking. On lodge treks only the necessary gears are carried along with the help of porters. However, privacy, peace and quiet at night and a relaxing atmosphere have to be sacrificed for the sake of the budget. We sleep in a local lodge with effective and efficient comfortable hospitality. Fresh and hygienic food is supplied on a regular basis and is readily available on the trail. Decent accommodations are available in the Annapurna, Everest and Langtang regions and many more. Camping Trekking are the classic style of trekking in Nepal and can be arranged and conducted almost anywhere when on trail. This is a completely organized program with guide, assistant guide, cook, kitchen boys, kitchen helpers and porters who play a major role in the provision of delicious food which is vital when on off beaten treks. A challenging experience under the exhilarating wilderness of Nepal is outstanding. A wilderness trek gets off the beaten path, going into areas with no teahouses or lodges. While often more rewarding, such treks are much more demanding logistically, as camping and food preparation cannot be outsourced. For a wilderness trek you must bring guides, Sherpas, trained cook, kitchen staff and porters. We operate wilderness treks in many beautiful regions; visit our Wilderness. “Grading” is a term used for rating treks based on difficulty. According to Himalayan Glacier standards and experience, we have divided the trekking into four types, namely Easy, Moderate, Difficult and Strenuous- the challenge in terms of both technicality and geography increases as we move higher in that order. Thus, Easy Treks could be suitable for all while Strenuous and Difficult Treks are meant only for those who have certain experience and capability. It is certain that if you rapidly gain height you will feel a sort of sickness in high altitude commonly known as Acute Mountain Sickness. But with good planning and common sense it is easily avoided. AMS occurs as the result of a failure to adapt to higher altitudes. Fluids accumulate in between the cells in the body and eventually collect where; unfortunately it can do the most harm in the lungs and brain. As the fluid collects in the lungs, you become breathless more easily while walking and eventually more breathless at rest. A cough begins, initially dry and irritative, but progressing, in its most severe form, to the production of pink, frothy sputum. The person ultimately drowns in this fluid if he/she doesn’t descend. This syndrome is referred to as High Altitude Pulmonary Edema (HAPE). When fluid collects in the brain, you develop a headache, loss of appetite, nausea and sometimes vomiting. You become increasingly tired and want to lay down and do nothing. As you progress, you develop a problem with your balance and coordination (ataxia). Eventually you lie down and slip into coma. Death is inevitable if you do’ it descends. This syndrome is called High Altitude Cerebral Edema (HACE). HAPE and HACE can occur singly or in combination. What about the security during trekking? Security of our clients is the foremost important for us. All our guides and other support crew are carefully chosen for your trips. Our guides hold licenses issued by the Nepal Government. They are very honest and reliable. But we would also advise you to take care of your own personal belongings. If you are on ‘camping trek’ please do not leave your bags unattended at any time for your own safety. Take your main bag inside the tent once you reach campsite. At night, put all bags and belongings in the middle of the tent. Your guide assigns a Sherpa on turn wise basis to guard the campsite throughout the night. If you are on ‘Tea house or GAP trek’ arrangement, you will be sleeping in local tea house. You have to take sensible precautions yourself at all times. Never leave your baggage unattended and keep your lodge room locked when you go out. Your guide will be a local Nepali, but a fluent English speaker. We can also provide guides who speak French, Spanish, Japanese, German or Italian, if you prefer. Most of our guides come from the mountainous regions of Nepal, above 3000 m. They are carefully selected on the basis of their appropriate experience, leadership skills and personal aptitude. With an objective of sustaining local communities Himalayan Glacier only employs staffs from the different groups of Nepal’s diverse ethnic community; including Sherpas, Gurung, Magar, Rai and Brahmin who have adequate knowledge about the culture, ecosystem, flora, fauna, geography, and history of Nepal. Moreover, we provide the guides who have gone through special training package program like Intensive Wilderness First Aid, Trekking Guide Training, Eco Trekking Workshop & Adventure Meet, Eco Trekking Workshop & Adventure Meet, Rock climbing, Ice Climbing and Mountaineering (for expedition leaders) etc, which are certified and approved by government of Nepal. Do the guides and support staff speak English? Yes, primarily all our guides are well versed in English. Everything is taken care of; you need no worry about communicating for essential supplies or any kind of trek information or general inquiries, precise explanation will be provided by our well trained guides and support staff. How long do I need to walk on average days trekking? Absolutely, in fact it’s a great place to start. As part of our job, one of the most important things we do is ascertain your experience and ambitions, and find the trek to best match these. However hard or easy you’d like it, however much or little experience you have, we have the perfect trek for you. Of course, we are and running a business doesn’t mean that we have the right to hamper environment. Our environmental record is better than any other trekking company in Nepal. In partnership with the Kathmandu Educational Environment Project (KEEP) and the Dhaulagiri Association France, we have spear-headed a number of successful clean-up campaigns and awareness program. While it’s sad fact that tourism is taking a toll on these stunning areas, we believe that the two can co-exist and committed to being a part of the solution. Are your staffs fully equipped? What about the insurance? Yes! Our guides, cooks, Sherpas and porters are fully equipped. Actually we are working in a team. We all are boss and we all are workers. We are the partner of Himalayan Explores Connections (Porters assistance project) we supply enough good clothes from this project, that’s why we are different then other companies. Please compare yourself. Moreover, we believe that without the assistance of good staff’s existence of Mountain Hawk Treks & Expedition. Mountain Hawk protects and advocates for the rights of all our staffs and fully insured. How to stay in good health while traveling in Nepal? Before coming to Nepal you are advised to take one or two vaccine for common diseases like Japanese encephalitis. When in Nepal, eat thoroughly cooked food. Drink only the reputed brand of bottled water, while in a trip our company will provide pour drinking water. Soft drinks like Coke, Pepsi are fine to drink. Avoid Fast foods and salads. If you are planning to travel during the period of June to September you may caught by Cholera. But this will not be a big problem if you will follow our advice like not drinking contaminated water like tap water and avoiding uncooked food. Wear a mask (if possible) when walking in the dusty and polluted streets, especially during the summer season in Nepal it can be tough to walk in the streets. Many private clinics and hospitals are open during the day. Drug stores near the hospital regions are open 24 hours (Bir Hospital, Teaching Hospital, Patan Hospital, etc). Of course the other rules apply; a) Quit smoking! b) Drink less. Should I bring my medication with me? Are the food & water served in the lodges and camps meet the hygienic standards? Very good questions. Yes! Absolutely your foods and water are safe while you are in the lodge and camp trek. We served only when it is hygienically prepared on the lodge. Moreover, our guides are the cooks while you are on the lodge trek, they will checked the goods before preparing in the kitchen & make sure everything are Okay. Most of the cooks in the local teahouses are simply trained but experience has made them perfect. If the group requires our well trained 5 star class cooks with the crew even on the lodge trek we are more delighted to take with an additional cost. We will provide boiled with purified by tablet and bottled sealed water in case of insufficient even though we are conscious about current environmental issues. On Mountain Hawk Treks& Expedition’s camp crew we have good combination of Guides, Sherpas, Cooks, Kitchen staffs and Porters. Guides and cooks are technically, practically and theoretically well train where as kitchen staffs and porters are practically well train. While on the camping trek our best cooks prepares you with the varieties of foods, which is hygienically prepared. You will find out very rare repetition of food items on your entire trek duration. As far as drinking water is treated by boiling and water purification by medicine or with filtered. Are their any tourist police in Nepal? We recommend anytime between 15th February to 15th June in spring & 15th September to end of December in autumn however, rest of the months are okay and trek can be done but not as much as nice comparing those season due to winter & raining respectably. What are the cancellation policy and terms and conditions? If our clients are unable to make their trip or want to cancel the trip due to unavoidable situations or circumstances. Mountain Hawk Treks & Expedition can refund only 70% of the total cost. However client can postpone their traveling dates further and can make up for the dates indulging in different activities, can also revive or reschedule the trip dates providing prior information to the company in order to avoid any further hassles. Conditions do apply. Absolutely Nepal is safe for traveler. Firstly, Nepal is considered as one of the peaceful countries in the world (chances are it’s safer here than your home-country). Secondly, while you’re on one of our trips, we take personal responsibility for your well-being, a responsibility we commit very seriously. What time is it now in Nepal and what is the ISD code? Nepali time is GMT/UTC plus 5 Hours 45 minutes. Area code for dialing to Nepal: Country Code: 977 Kathmandu City Code: 1 (e.g. 977 1 4414 000 First three digits is the country code, second is the area code, the last digits are telephone numbers. Are there ATM outlets and services available? Is Nepal approachable enroute to Tibet? The crossing between Nepal and Tibet via Kodari is only open to organized groups but not to individual travelers heading north. Be prepared with alternative plans if you’re thinking about using this route, because landslides regularly make it impossible during the monsoon. Nepal’s national language is called Nepali. It is written in Devnagiri Script. This script is the same as the one used in Hindi language – the national language of India. There are more than 62 different spoken languages in Nepal. It is also official language of Nepal.